Prime botanicals are selected conscientiously amid wild habitat. Diligent processing ensures quality, freshness, and consistency. Indulge your senses and skin with nourishing botanicals, healing salts, and soothing scents. *Now with healing wild herbs, superfoods, and essential oils to soothe, calm, and nourish sensitive skin. *Now with healing wild herbs, superfoods, and essential oils to protect, firm, and tone aging skin. A rich blend of organic oils and butters with botanicals to nourish the skin. Nourish dry cuticles and nails. *Now with healing wild herbs, superfoods, and essential oils to nourish, balance, and brighten oily skin. 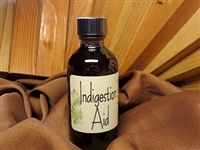 Comfort nausea, flatulence, and indigestion. A rich blend of organic oils and botanicals to nourish the face. Great for all skin types. Ease inflammation, pain; relax aches, sore joints, and strains. *Now in a convenient spray! Balance, tone, & rejuvenate the skin.